by Gini Youngkrantz, self-published, fourth 1994 edition of the 1986 publication. 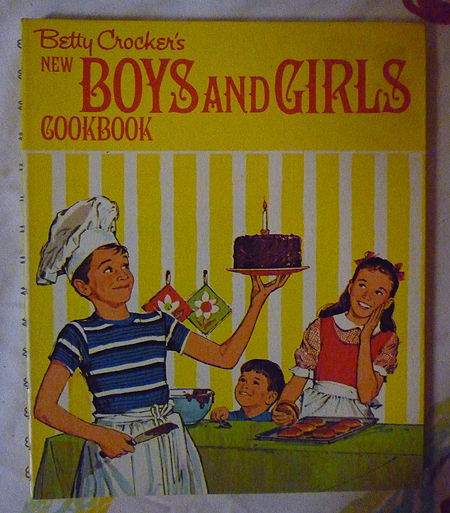 No newer edition. Recommended. 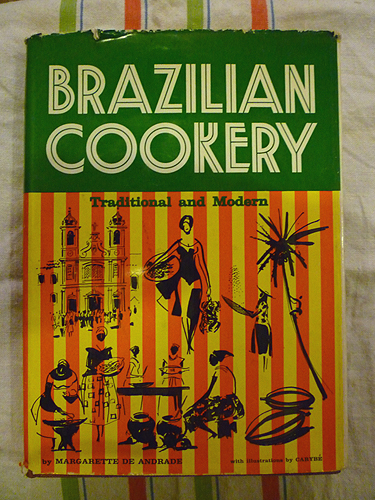 Hundreds of traditional recipes listed first in English, followed by the German name beneath it. Conversion table, menu translation sections. The author has sold more than More than 50,000 copies of this excellent work. Youngkrantz’s mother worked, so she learned to help Mom cook early on, using her grandmother's recipes. 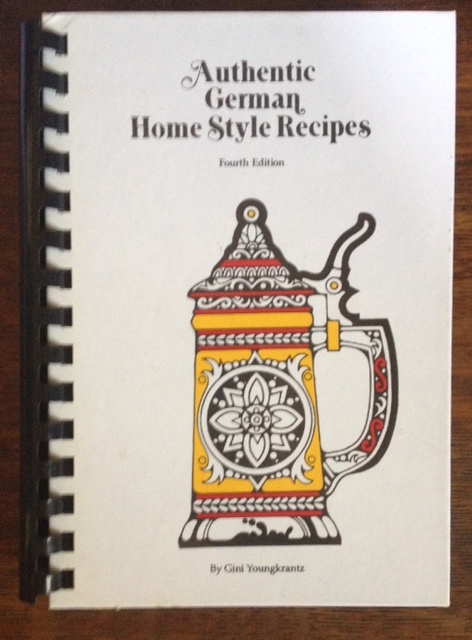 She makes it clear in the title that most of the recipes are for traditional German home cooking dishes. 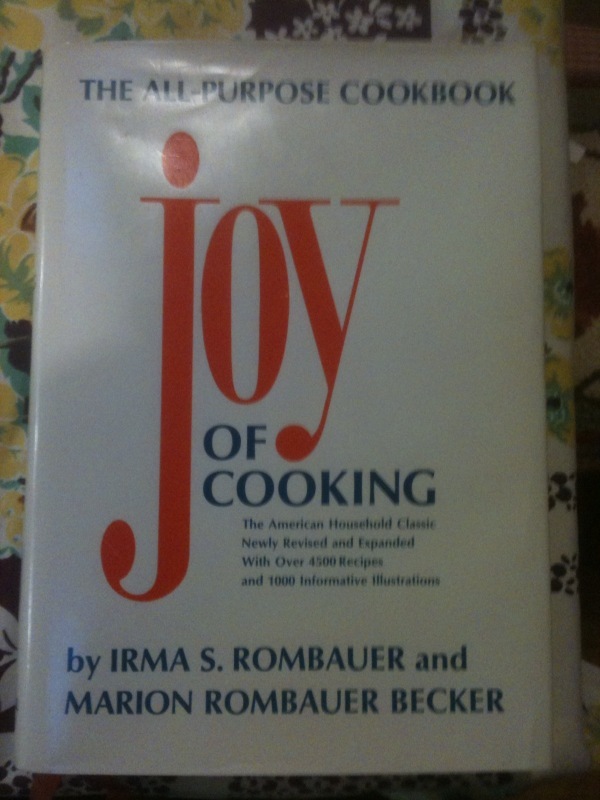 She doesn’t lay claim to them; in fact, she says that most of the 70 new recipes in this edition came from readers both in America and Germany of earlier editions who have written or called her with suggestions. A simple Garlic soup with beef broth (Knoblauchsuppe) is one of them. She tried it, liked it and included it in this edition. There are also charming German folk sayings with English translations at the bottom of some recipes. Nice. The author was born and raised in Handschuhsheim (Heidelberg), in Southwest Germany, and married an American serviceman. They presently live in Colorado City, CO.
Hard white covers with color beer stein on front cover, black comb binding with title in white, 290 pages. Condition: VG+.